Israeli Occupation Forces (IOF) carried out over the past month 2515 violations in West Bank and Jerusalem, Hamas Information Office reported. 327 Israeli violations were documented in occupied Jerusalem including the injury of 39 persons and the arrest of more than 109 others. According to the report, 927 Israeli raids and 39 demolitions were carried out during the reported period, while three Palestinians, including two minors, were killed and 172 were injured in West Bank. 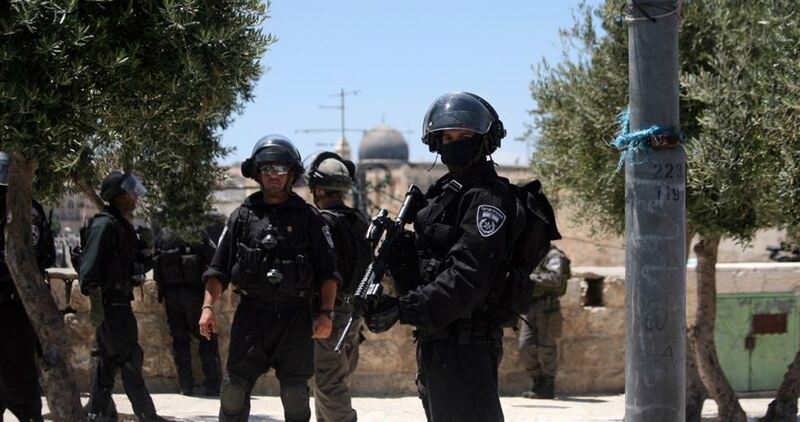 The report also documented 109 arrests in occupied Jerusalem, 76 in Ramallah, 65 in Bethlehem, 59 in al-Khalil, 43 in Jenin, 36 in Nablus, 32 in Qalqilia, 16 in Tulkarem, 12 in Salfit, five in Jericho, and four in Tubas. 14 Palestinians houses were also demolished during July including nine in occupied Jerusalem, two in Nablus, and two others in al-Khalil and Jericho. During the reported period, 25 Jerusalemites were denied access to the holy city while 364 Palestinians were prevented travel from West Bank and Jerusalem. Meanwhile, 3743 Israeli settlers carried out 27 break-ins into al-Aqsa Mosque last month while 60 settler attacks were reported against Palestinians and their properties.